TPACK Image (rights free). Click to learn more about how to use this image in your own works. TPACK is not a brand new idea, nor is it owned by anyone. A range of other scholars have argued that that knowledge about technology cannot be treated as context-free, and that good teaching requires an understanding of how technology relates to the pedagogy and content. The TPACK framework is gaining popularity amongst researchers and scholars. This makes tracking the progress of TPACK difficult, but for those getting started, the seminal description of TPACK (by that particular name) can be found in Mishra and Koehler, 2006. 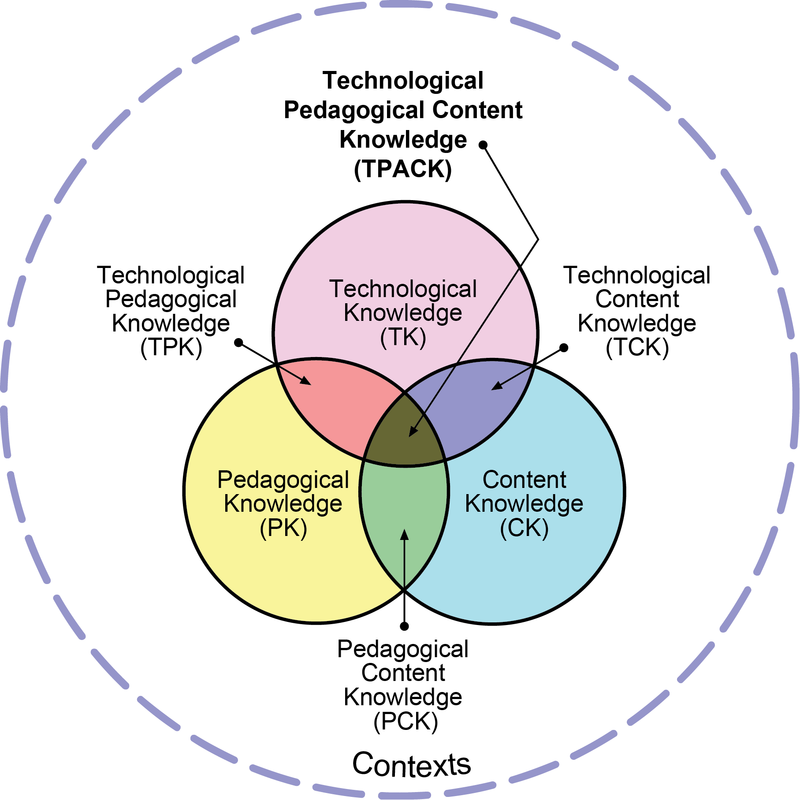 Many people continue to develop the TPACK framework conceptually, theoretically, and empirically. Check out the TPACK Library section for more information. This document is meant to be a gentle introduction to the TPACK framework, you can learn more by exploring the rest of the TPACK.org website, or by clicking on the TPACK Academy section of the site.